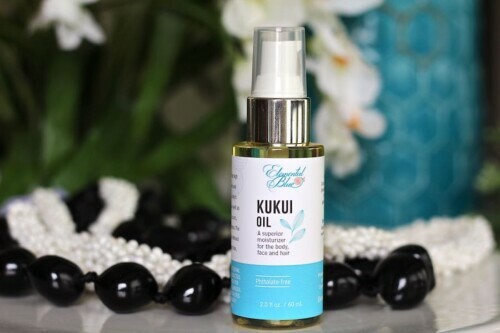 Kukui oil has the unique ability to protect, heal and soften the skin without leaving a greasy film. It has been known to heal cuts and sunburns and is a go-to moisturizer for Hawaiian surfers. How can it offer so many skin benefits? It’s a very light oil that’s easily absorbed by the deepest layers of the skin, and it contains many skin-loving vitamins and antioxidants, including A, C and E. Additionally, it has high percentages of linoleic and linolenic acids, which are essential fatty acids.